Washington, D.C. — The National Council for Public-Private Partnerships’ (NCPPP) named Paine Field, Snohomish County Airport the recipient of the 2019 Innovation Project Award. Paine Field in Snohomish County, Washington is the first privately funded, built and operated passenger terminal in the U.S. as a result of a uniquely structured public-private partnership (P3). Enormous economic growth in the Seattle region led the push in Snohomish County, Wash., (population appx. 800,000) to support new passenger airline service at its local airport, Paine Field. Paine Field is the site of the largest Boeing manufacturing facility but prior to the Paine Field P3 did not have passenger service. Paine Field is the first U.S. airport with a privatized commercial airline passenger operation within a publicly owned airport. This unique P3 arrangement allows Snohomish County to focus on what it does best — operate an airport that is designed around the needs of Boeing’s manufacturing plant — while ensuring a first-class passenger experience. Propeller Airports, represented by NCPPP member, Kaplan Kirsch & Rockwell LLP, negotiated agreements with three airlines (United Airlines, Southwest Airlines and Alaska Air) to create 24 daily flights to nationwide destinations – an unprecedented success for a new airport both in number of airlines and number of flights. The original elements of the project included not only the unique P3 arrangement, but the genuine partnership between Propeller and County officials designed to fulfill passenger needs and to avoid conflicting with Boeing’s needs. 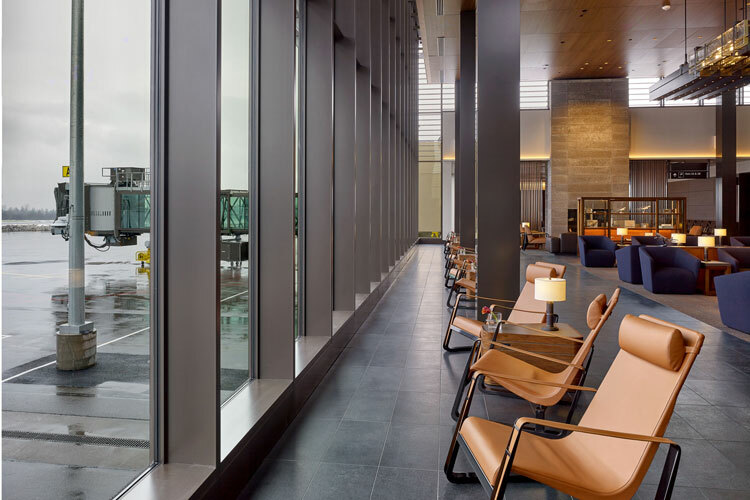 Paine Field showed that a genuine partnership between an airport owner and a private enterprise with expertise and access to capital can deliver a project that is uniquely tailored to community needs. Paine Field representatives will receive the 2019 Innovation Project Award at the P3Awards Luncheon at NCPPP’s annual conference, P3Connect 2019, on May 15 in Denver.